Information for applicants visiting the United Sates for medical reasons (undergo a medical treatment or visit a medical facility), a B-2 visa will be issued. Persons with contagious diseases may not be able to a get visa. If you wish to assist a relative in the United States with a procedure such as a kidney donation, you must submit medical documentation from both the home country and the USA that you are a suitable donor and that all necessary matching and screening has been done in advance. The purpose of their trip is to visit U.S. for medical reasons. That they plan to remain for a specific and limited period. A Nonimmigrant Visa Electronic Application (DS-160) Form. 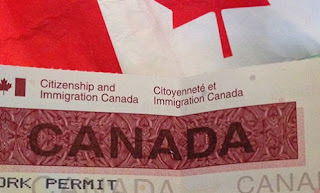 A passport valid for travel to the United States with a validity date at least six months beyond your intended period of stay in the United States. If more than one person is included in your passport, each person desiring a visa must submit an application. One (1) 2"x2" (5cmx5cm) photograph. A receipt showing payment of your US$160 non-refundable nonimmigrant visa application processing fee, paid in local currency. Evidence that you have been accepted for treatment at a licensed medical facility in the USA and that you have an appointment. Documentation of how all the anticipated costs will be met. You must establish that sufficient funds are available to pay for medical and living expenses during any period of treatment and convalescence in the United States. An original bank statement detailing all deposits, withdrawals, and transfers of funds for the past one year. Do NOT look for any visitor medical insurance for paying for this purpose. None of the visitor insurance plans will cover for this (neither the ones bought in home country nor the ones bought in the USA). Insurance is for future unforeseen protection and it is not free money to pay all your medical bills. If the funds will be provided by a close relative in the USA, a Form I-134 Affidavit of Support must be provided with evidence of the income and assets claimed. Such evidence includes income tax records and bank statements showing transactions for the past one year. Affidavits from persons other than close relatives cannot be accepted. Persons who wish to go to the United States for medical treatment must satisfy the same requirements as applicants for tourist visas, such as social and economic ties to the home country. They must satisfy several additional requirements.